To the casual eye they seem as different as day and night: one reserved and commanding, the other withdrawn and shy. Yet Chikane and Himeko share more than just the same high school, for each is the reincarnation of a Miko, a Shinto Shrine Maiden, and they are joined by a secret love they keep hidden from the outside world. But with the reincarnation of their ancient enemy, the Orochi, their lives and that secret are torn asunder! As each of the legendary dragon’s eight heads is reincarnated in a human host, Chikane and Himeko’s fate as the Lunar and Solar Shrine Maidens is sealed. To save our world and mankind, they must endure the greatest test and endure the ultimate sacrifice; for as Night must oppose Day and Good must counter Evil, they are eternally fated to face each other across the final battlefield! 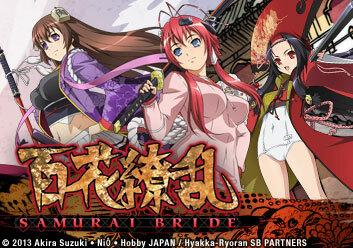 Love and Hate become weapons as opposites collide in DESTINY OF THE SHRINE MAIDEN! Chikane Himemiya and Himeko Kurusugawa are not twins, but share the same birthday. In fact, they could not be any more different from each other, except for the fact that they are reincarnations of the Solar and LunarShrine Maidens. On their birthday, the incarnations of the evil Orochi, an 8-necked monster, awaken in their human hosts. 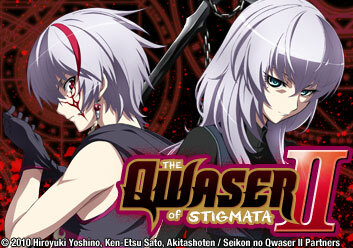 Chikane and Himeko must face the truth about their destiny and confront the events that are ahead of them. They learn about the ancient conflict between Orochi and the Miko. 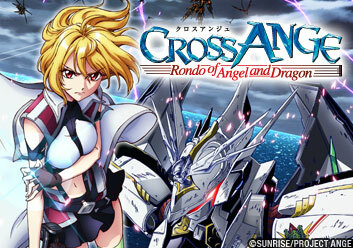 Himeko, is overwhelmed by the burden fate has given her and considers running away. The 3rd Neck, Girochi, awakens and attacks the Miko. Due to the damage to the dormitory, and her injured roommate blaming her, Himeko is in need of a place to stay. Chikane offers for Himeko to stay in her mansion. At school, Chikane's fans begin to bother Himeko. 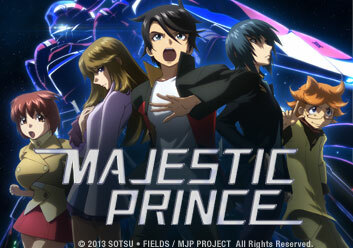 The two learn more about their hidden pasts from Kazuki and how they are destined to protect the world. The 6th Neck, Nekoko, appears and attacks the girls. Soma finally asks Himeko out on a date. Chikane helps her get ready. The two go to the amusement park. The 1st Neck, Tsubasa, confronts them and Soma must protect Himeko. Soma is able to repel Tsubasa's attack, but Tsubasa gets away. Soma starts training to ensure that, when they meet again, he will utterly defeat him and protect the Miko. Soma learns that Tsubasa is, in fact, his older brother. Chikane and Himeko look back over the circumstances of how they met and became friends. Together, they train to be able to fight Orochi. Himeko and Soma have another date. While on their date, Soma and Himeko take shelter from the rain in an abandoned warehouse. Chikane is confronted again by Sister Miyako, who begins to manipulate her feelings for Himeko to make her jealous. Soma and Himeko are attacked by four of the Necks. When the fight is over, Soma finally kisses Himeko. Himeko notices that Chikane is beginning to act oddly around her but cannot figure out why. While out with Soma, she buys Chikane a present. Later, Himeko goes to the mansion to give it to Chikane. There, she finds that Chikane has joined with the Orochi, and become the 8th Neck. Himeko is having a difficult time accepting that Chikane has betrayed her. Things get a little easier when Makoto comes back to school and she and Himeko reconcile. Chikane, on the other hand, fights and defeats all of the other Orochi, except for Soma. Alone, Himeko revives Ame no Murakumo. Chikane comes back to her, and the two talk about how everything began and what has gone wrong. It seems as if Chikane has come back for good, until she tells Himeko that she intends to kill her. The final battle is upon them. Himeko and Soma battle against Chikane and the Orochi. 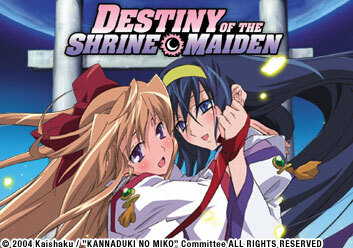 Himeko leaves Soma to go after Chikane, and the two fight each other one-on-one over the fate of the world and the destiny of the Shrine Maidens. Himeko overpowers Chikane and the Orochi are defeated. Chikane reveals to Himeko the details of their past lives which she could not remember. All is not how it had appeared, as Chikane was trying to alter the course of their destinies, but at a terrible cost.